Ruthie Hogan signed up for Art Lotto last year and at the Luck of the Draw event, she randomly selected the name of local wood artist Bruce Rosenwasser. She challenged herself to make Bruce into a muppet…and she succeeded. Muppet Bruce was a hit at the Lotto openings. Artists took him off the wall, passed him around, disguised their hands as ball-capped-flannel-wearing-Bruce and entertained each other. Ruthie brought lots of smiles with her muppet creation. This year, Ruthie selected the name of photographer Misti Yoder. Misti has local roots but currently resides in Indiana. 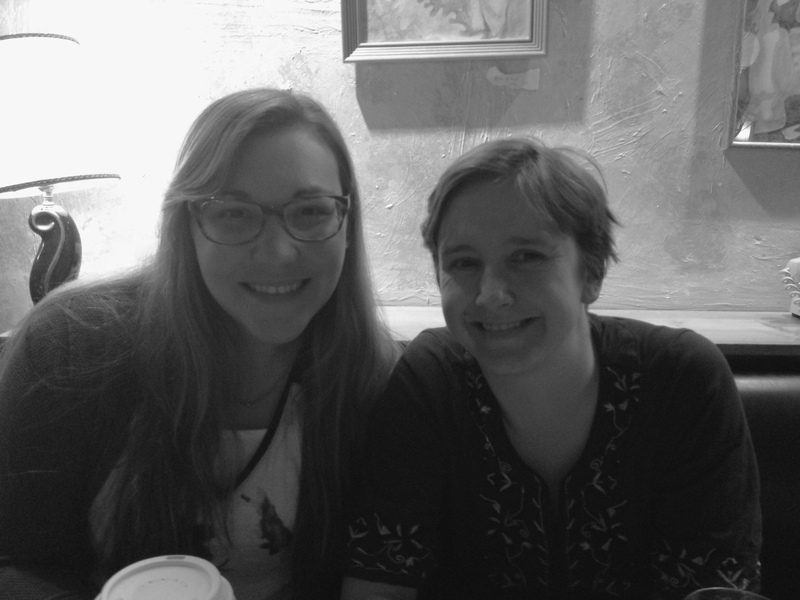 The distance could easily be a challenge but Misti and Ruthie made it work last week when they met up for coffee.